Welcome to Milwaukee! If you’re serious about throwing a fun and successful event it’s time to consider the Milwaukee Flyer! A color image provides a background for your event information, and there’s space for six custom image uploads so you can promote your sponsors and performers. 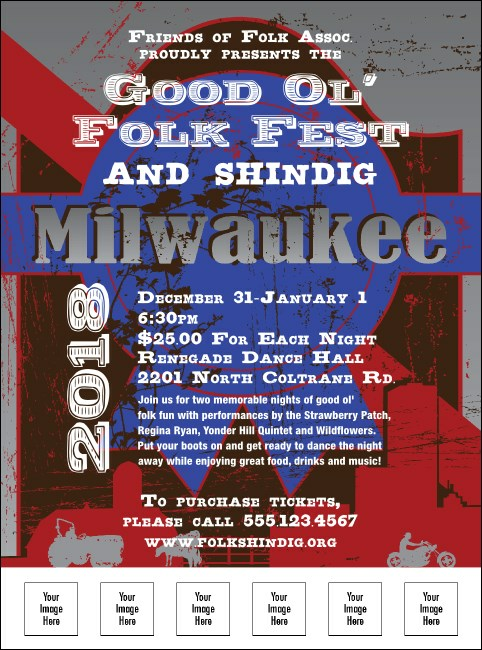 Promote your next gathering in Milwaukee, Wisconsin with the matching event kit from TicketPrinting.com.